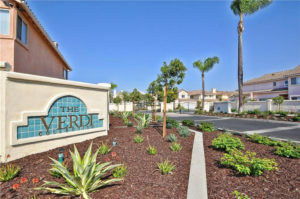 The Verdi Collection is a very private feeling gated community in the Plaza Del Amo area. The small complex consists of 52 detached single family style homes with no shared wall and private yards. Built in the early 90s the community offers 3 and 4 bedroom homes, ranging in square footage from just under 2,400 feet to 2,536 square feet*. The homes were designed with a Mediterranean flavor and offer traditional floorplans with all bedrooms on the second floor. All homes offer an attached 2 car garage and most homes have central A/C. The amenities at The Verdi Collection include heated pool and spa, small park and recreation center. Streets in The Verdi collection include Dorset Drive, Elm and Woodbury Drive. Located in the heart of the South Bay, the community of The Verdi Collection is just a short distance to the newly rebuilt Del Amo fashion mall, Wilson Park with 2 farmers markets a week, The South Bay Galleria, shopping, dining, entertainment and more.